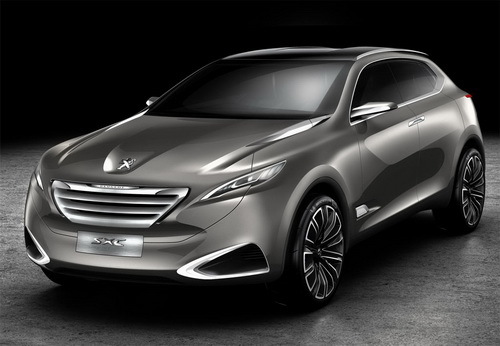 Peugeot SXC Concept car details has been released ahead of its public debut at 2011 Shanghai Auto Show. Peugeot SXC Concept is a modern four-door crossover vehicle which measures 2.035m in width, 4.870m in length, and 1.610m in height. 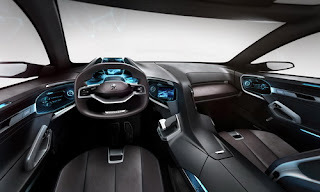 This concept car was designed by the Peugeot Style Studios of the China Tech Center and fitted with 6-speed electronically controlled manual transmission. With a hybrid powertrain on the Peugeot SXC Concept, this concept car featuring a 1.6 liter THP petrol engine which may outputs 160 kW (218 bhp) and 280 Nm of torque (overboost function may increase its torque at 300 Nm). 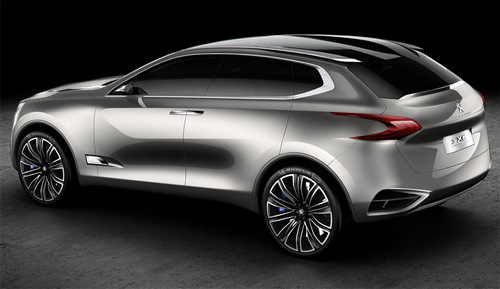 While the electric motor will have a continuous output of 40 kW (54 bhp) and 102 Nm of torque. 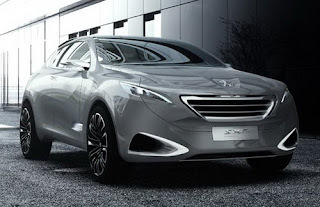 Peugeot's SXC Concept is good for 230 kW (313 bhp), as the maximum power and torque of the electric motor are rated at 70 kW (95 bhp) and 178 Nm. Peugeot SXC Concept car has a fuel consumption at 48.7 mpg, and its CO2 emissions are 143 g/km. 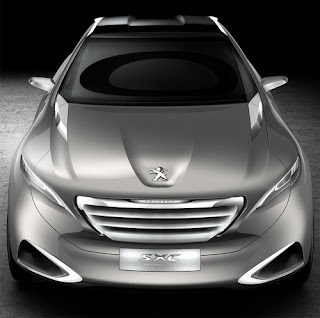 Peugeot SXC Concept car will be available with some interesting design features such as its reverse-hinged doors, headlamps, boomerang-shaped rear lamps, a two-part panoramic roof, and also the LED daytime running lights while it sits on huge 22 inch wheels.